Here at GEICO, we love cars. Some of our favorite scenes in movies and TV shows are ones that feature a cool car chase. From the 1968 Ford Mustang GT featured in Bullitt to the DeLorean DMC-12 featured in Back to the Future, iconic cars make a lasting impression on us. Here are a few little-known facts about some of Hollywood's coolest on-screen cars. 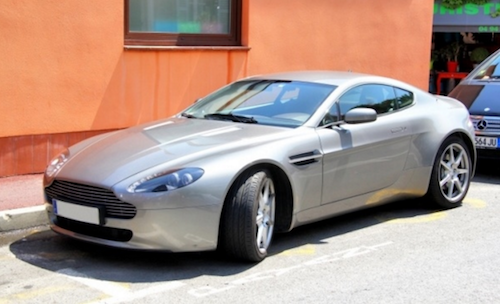 Did you know that this James Bond car cost a whopping $230,000 brand new back in 2002? That didn't stop 007 from drifting it around frozen ice lakes in Iceland in the now iconic chase scene from Die Another Day. The cost of the car isn't the trivia, though; it's the fact that these cars were Franken-Astons! The special effects team pulled out the 600hp V12 engine and replaced it with a Ford Boss 302 V8. The front differential and drive shaft were also replaced with ones from a Ford Explorer. But why operate on the beautiful Aston Martin? Because it didn't have enough traction for the ice lake scene, and yes, they did shoot that scene for real. CGI won't do for the man with a license to kill. 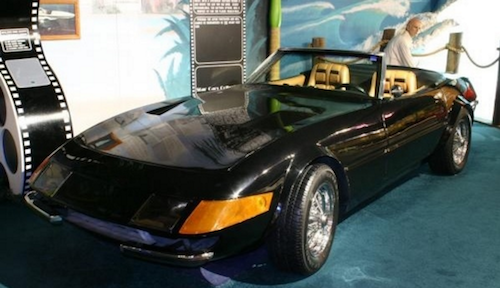 While some may argue that the all-white 1986 Ferrari Testarossa is the more memorable car in the 1980's TV series "Miami Vice," the first and second season featured a black Ferrari Daytona that true fans will swear is the best Vice-mobile. The Ferrari was a pricey car back in 1984, and when you're a new show on the block, you've got to keep costs down. That's why the Daytona wasn't real. It was a replica car, also known as a kit car, based off of a Chevrolet Corvette. Funny thing is, when Ferrari saw the show rising in popularity, they offered a real Italian stallion in the form of a Testarossa that is seen from season three onward. Many movie cars are used specifically to showcase a new car that can entice watchers to want it. 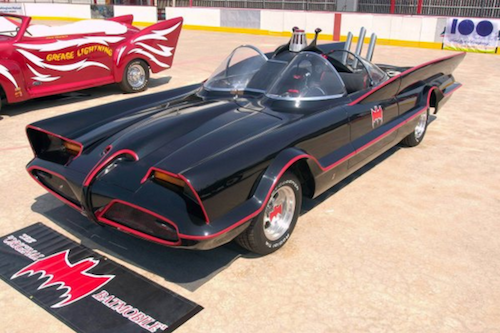 Not so with the black and fluorescent red Batmobile from the 1966 "Batman" TV series. This futuristic-looking car wasn't actually futuristic. It was based off of a 1955 Lincoln concept car called the Futura. Despite it being handmade in Italy for the staggering reported cost of $250,000 ($2.2 million in 2016 dollars), the designer of the Batmobile, George Barris, purchased the car for $1 ($8 in 2016 dollars) from Ford. The best part of the story? The car was sold by Barris at a collector car auction in Arizona in 2013 for $4.62 million dollars. Holy profits, Batman!